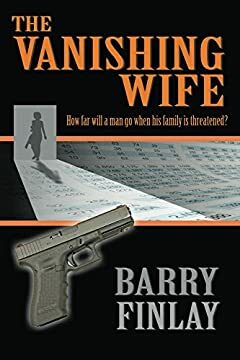 Mason Seaforth, a mild mannered accountant, wakes up the morning of his 20th wedding anniversary to find that his wife, Sami, has disappeared. A search of Samiâ€™s computer uncovers a past she has buried for more than 20 years. Together with their strong-willed friend, Marcie Kane, he leads an investigation that takes them to a casino in Gatineau, Quebec. As the two close-in on Samiâ€™s whereabouts, so do Aaron Marshall and his enforcer, Greg Johnson, AKA â€œThe Forceâ€ - deadly serious men willing to kill the entire Seaforth family to protect Samiâ€™s secrets. Written by one of Authors Showâ€™s â€œ50 Great Writers You Should Be Readingâ€ list, in 2012 and winner of a Canada Book Award, comes a masterpiece nominated best e-book in the Thriller/Mystery category. A suspenseful mystery thriller you will not be able to put down. Scroll up to grab your copy of The Vanishing Wifenow! A portion of the proceeds from the books will go towards helping young women and youth in Africa.